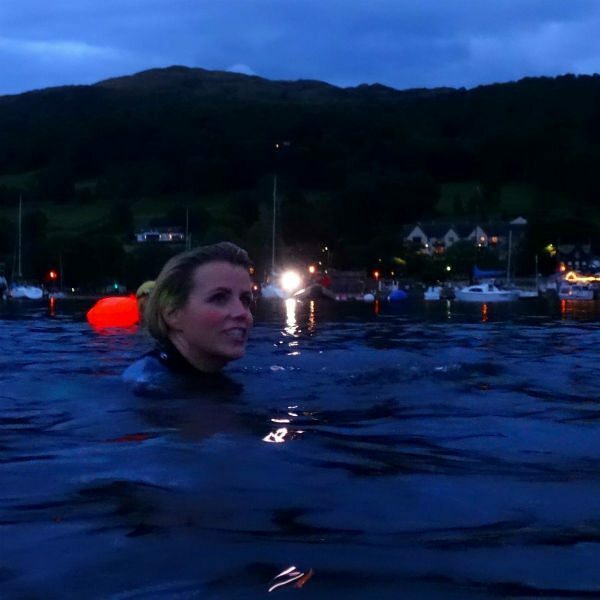 The Secret Britain Night Swim – Wild swimming is a joy for the senses and one of our favourite pastimes, but night swimming is another experience altogether! You get the feeling that anything can happen and senses are heightened and the world becomes a quieter, more mysterious place. 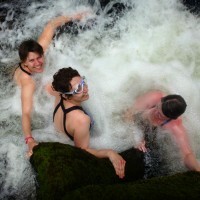 The bats, the deer, the otters and the swimmers lose their inhibitions and come out to play. 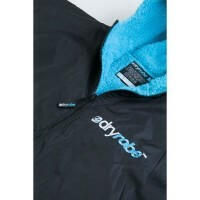 Swim Ability & Fitness Level: For competent swimmers who are confident swimming outdoors. 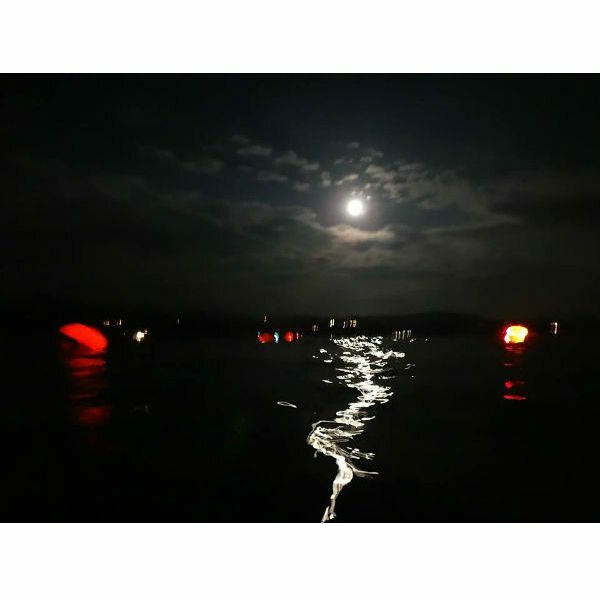 To get the most from this night swim please ensure you have open water swimming experience of at-least 1KM. Swimming distance varies between 1,000m – 2,000m depending on group ability and aspirations. Emergency Contact, Name & No. 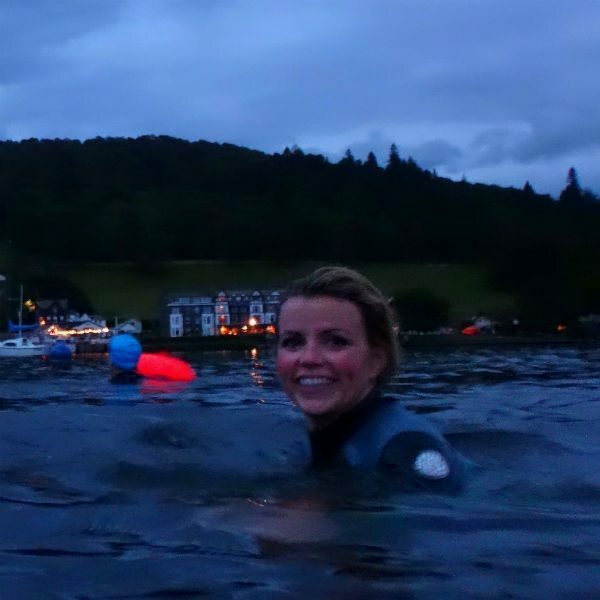 Wild swimming is a joy for the senses and one of our favorite pastimes, but our Secret Britain Night swim is another experience altogether! You get the feeling that anything can happen and senses are heightened and the world becomes a quieter, more mysterious place. 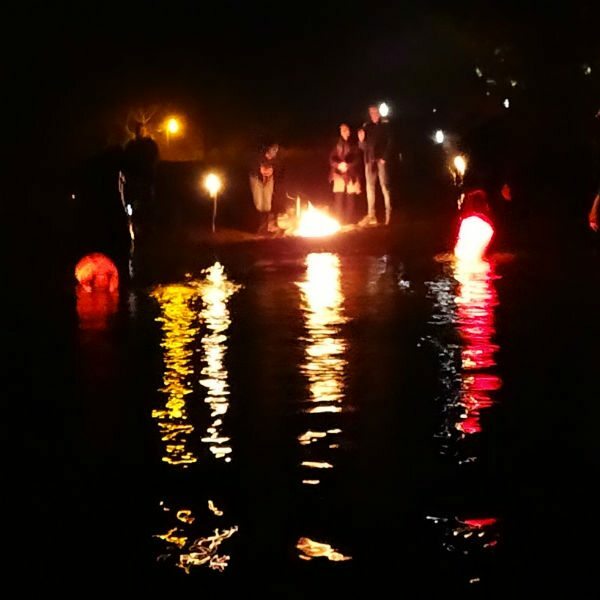 The bats, the deer, the otters and the swimmers lose their inhibitions and come out to play. 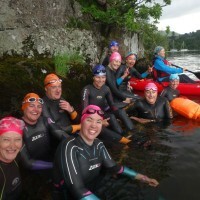 We will swim from our top secret location on the North Basin of Windermere, near Ambleside. 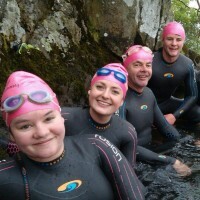 A swim which we shared during our time spent with Ellie Harrison which was featured on the BBC Secret Britain program. Exact meeting place, venue and itinerary will be confirmed upon booking. 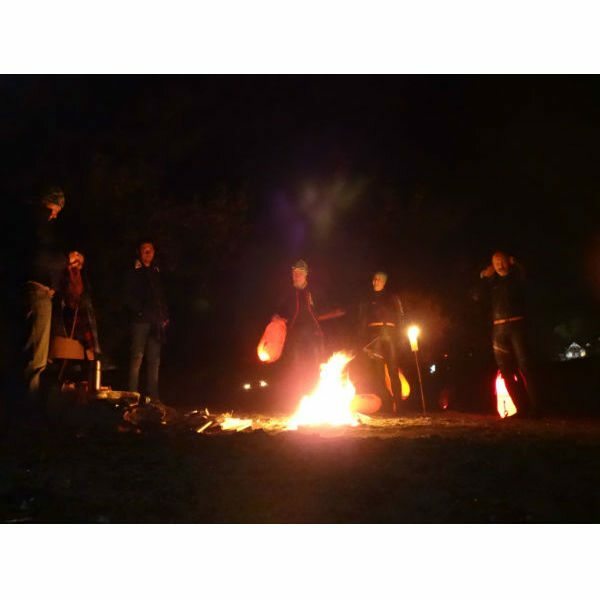 We finish with a weather dependant campfire to warm you up, along with a steaming mug of hot chocolate and perhaps even a wee dram for the non-drivers. 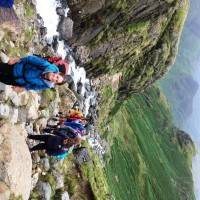 “What an amazing experience, less scary and more enjoyable than we could have imagined! 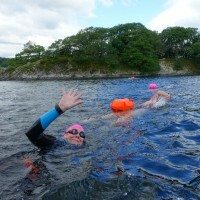 Thanks for sharing your knowledge of the area and for looking after us in the water” – Jon & Jane. It was a real adventure, scary but exhilarating. Looking forward to swimming with you again next year. Thanks, Cathy. Just wanted to thank you both for Friday night and the patience and calmness from Tors, her help was appreciated … Again, thanks for a great night and warm welcome from everyone, will never forget it! Really enjoyed last night, great adventure! The goodies after were very welcome. 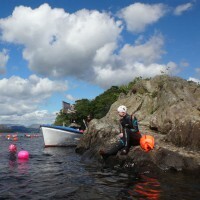 Look forward to the next swim, maybe the island hopping? 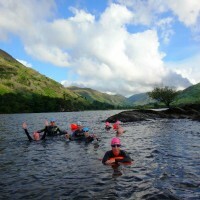 How fit do I need to be for the Wild Swim? 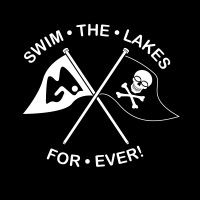 For this night swim please ensure you are a regular outdoor swimmer and that you are able to swim 1,000m in a lake. Confidence in water is essential. 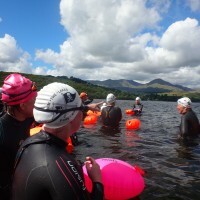 The swim will be moderate paced with an emphasis on enjoying the journey and surroundings. We aim to satisfy the swimming aspirations of all of our guests without any compromise in your safety. How far will we swim? The walk in is short the swim is 1000km – 2000km, depending on the group. What will the weather be like? It could be still and clear, it could be windy and raining, but we do know you are going to have a great time. Please check the weather forecast before you travel and bring suitable outdoor clothing and footwear. 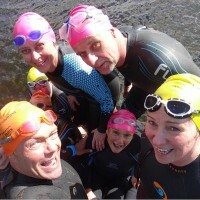 How cold will the water be and do I need a wetsuit? 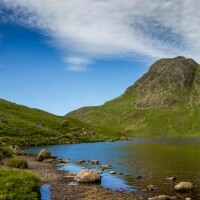 The Lakes vary in temperature between 8-15 degrees for this time of year depending on the local weather conditions. Wetsuits are mandatory for our night swims. 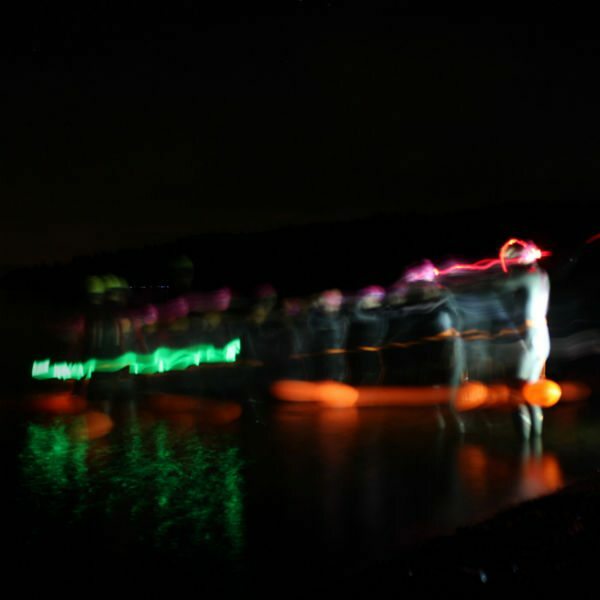 I’m sorry we will not have hire wetsuits available for the Autumn night swims. 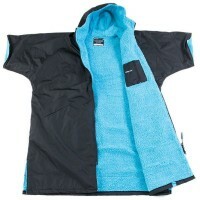 Wetsuits: Swims are in wetsuits mandatory our night swims. 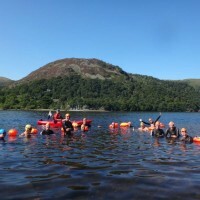 Wetsuit Hire: No wetsuit hire is available for our autumn night swims. You will need your own wetsuit. 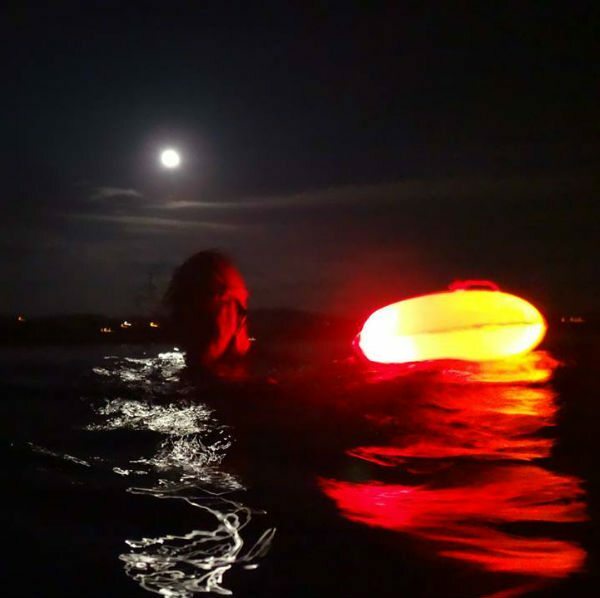 What to bring: swim costume, clear goggles, wetsuit, swim cap, big towel (preferably a changing robe), plenty of warm layers inc warm socks, hat, gloves & coat, hot drink and snack, a good battery powered head-torch (with new batteries) and or lantern (or both! ).